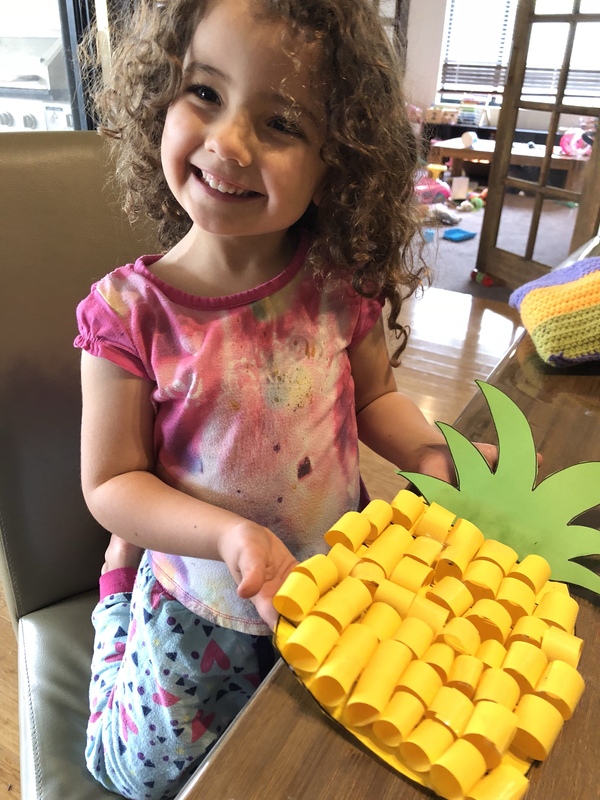 Home / Fine Motor Activity / Paper Pineapple! 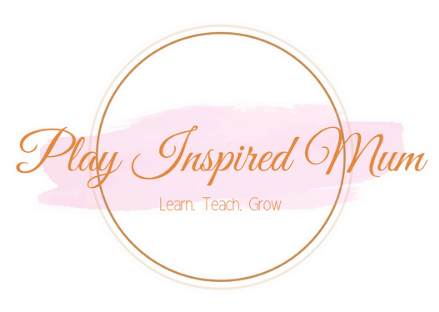 Welcome to a quick and easy rainy day activity. Patience is a skill that needs to be practised and what better way to encourage it than with glue. I haven’t met many kids who haven’t loved glueing. 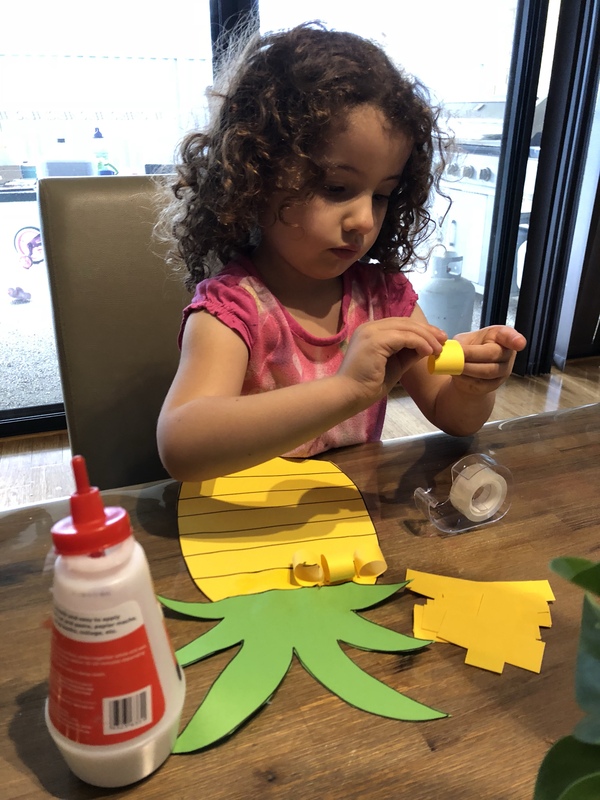 Miss 4 loved slathering on the sticky goop so when I came across this pineapple craft activity we just had to do it. 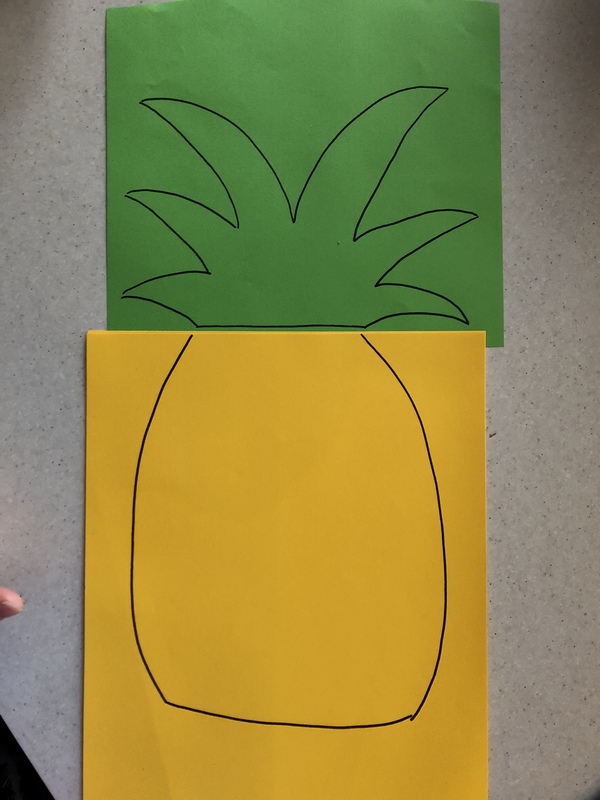 Start by drawing your pineapple leaves on the green paper and then the body of your pineapple on a sheet of the yellow. 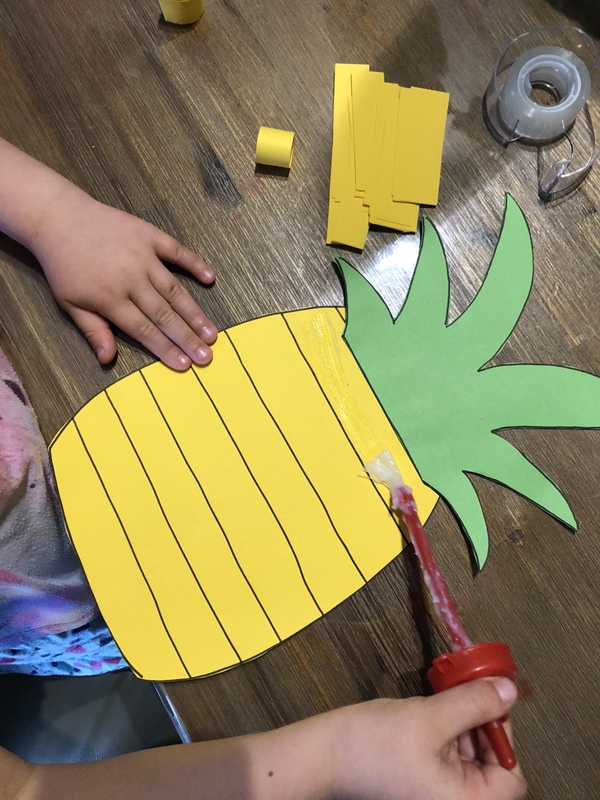 Draw horizontal lines across the body of your pineapple. These are guidelines for lining up the bumps of your pineapple. Once drawn, cut out the shapes. I chose to cut these out for Miss 4 to create a focus on the glueing. 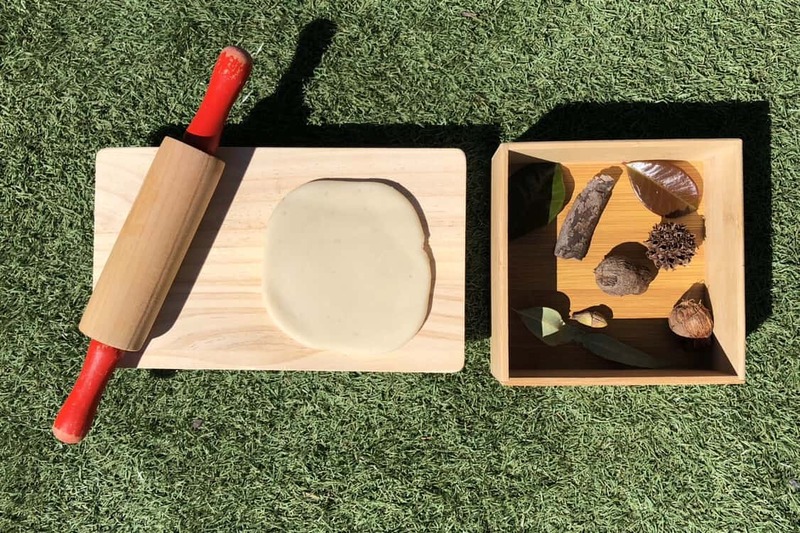 You could handball this task to your child though! 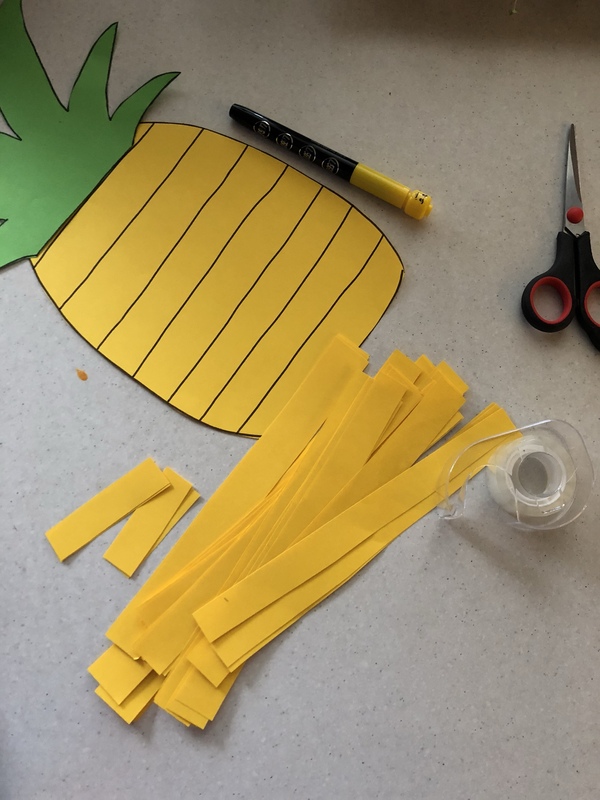 Then cut some yellow strips to make the bumps for your pineapple. I cut them horizontally with the page in a portrait position and then cut each strip into three. 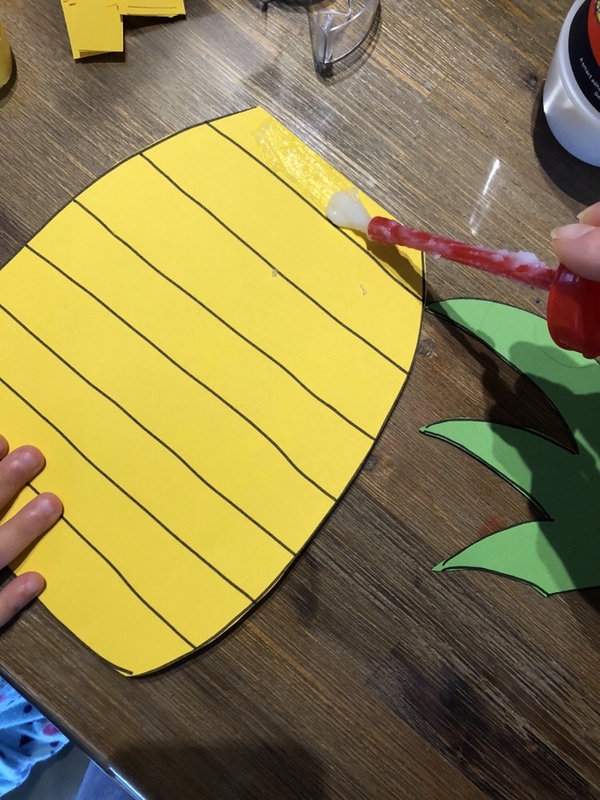 Apply some glue to the top of your pineapples body and then gently secure the leaves. 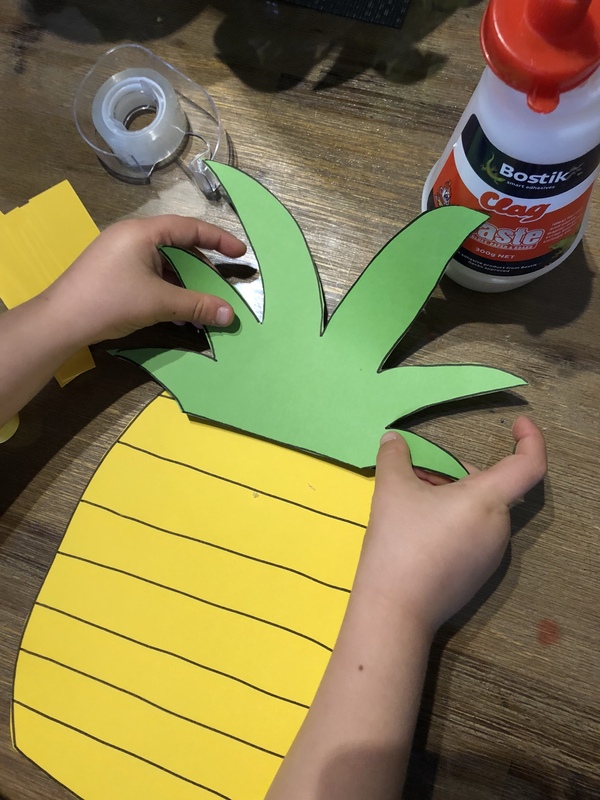 I then asked Miss 4 to paste some glue to the first section on the top of her pineapples body. 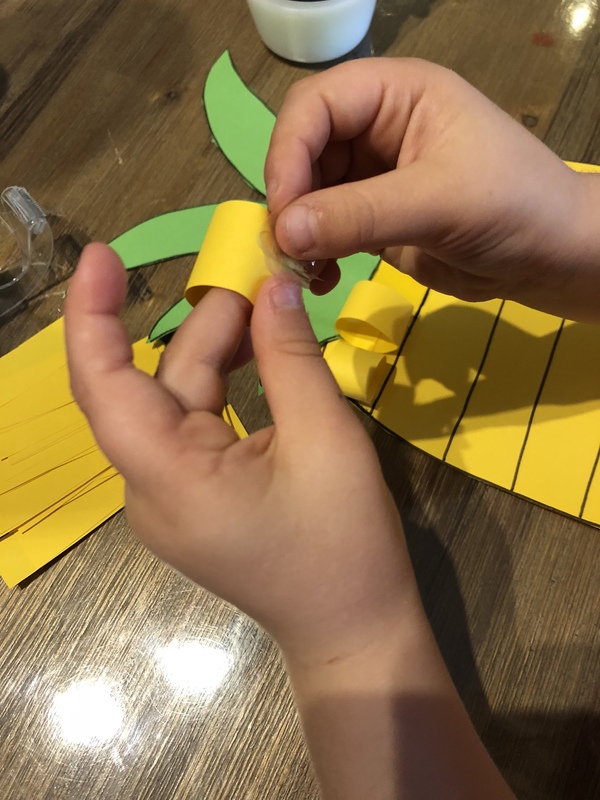 We then rolled the strips of yellow paper to make circles and secured the ends with a small piece of tape. We stared rolling and then sticking but then found it easier to roll a few before sticking the circles on. 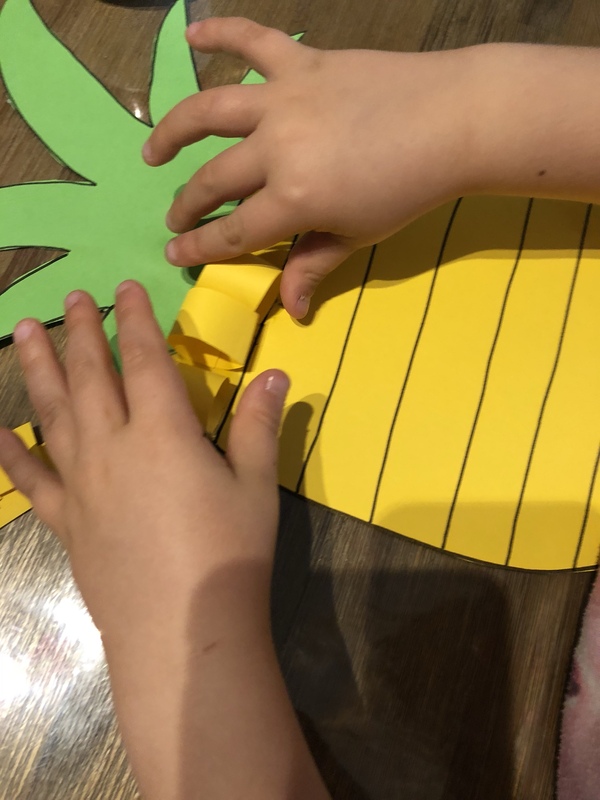 While Miss 4 was sticking her paper ring to her page we were talking about putting them on vertically, horizontally, where pineapples grow and dishes we can make using them. I was asked to let her concentrate at one point so left her to it. After some time, her patience started to wear thin. I reminded her of what a great job she had done so far and encouraged her to imagine how amazing it would look once she had finished. 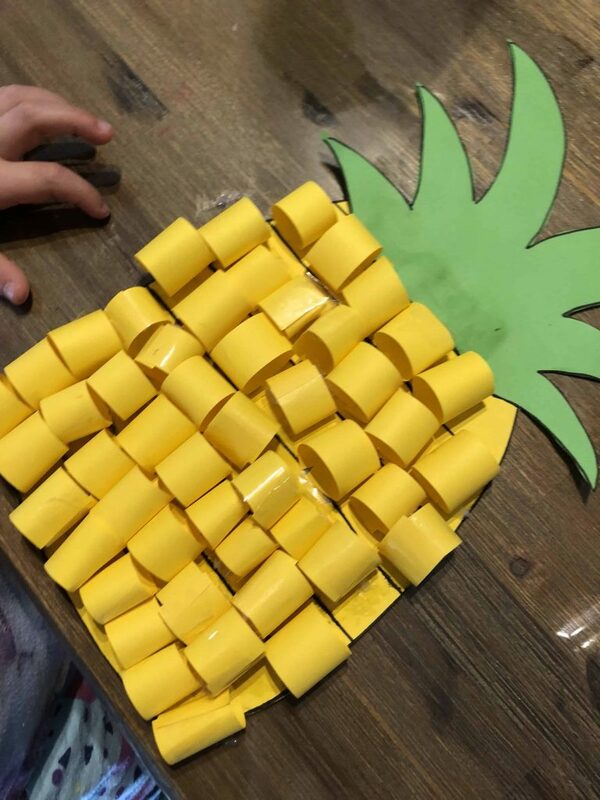 I helped her form some of the paper rings and then we worked together to complete the entire pineapple. Once she was done I affirmed her that I was proud that she didn’t give up and that her dedication had paid off. 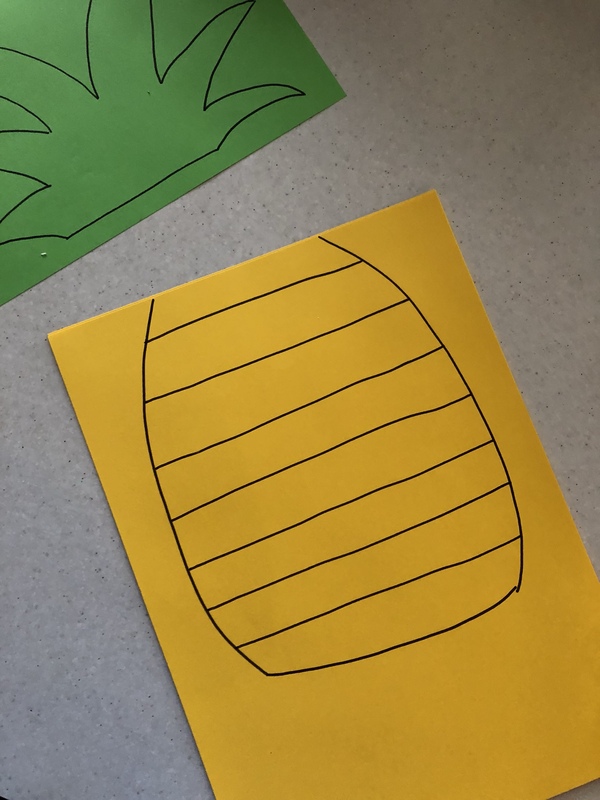 She had created a beautiful pineapple complete with its bumpy skin. This activity certainly did test her patience however she stuck to the task and boy was she proud! 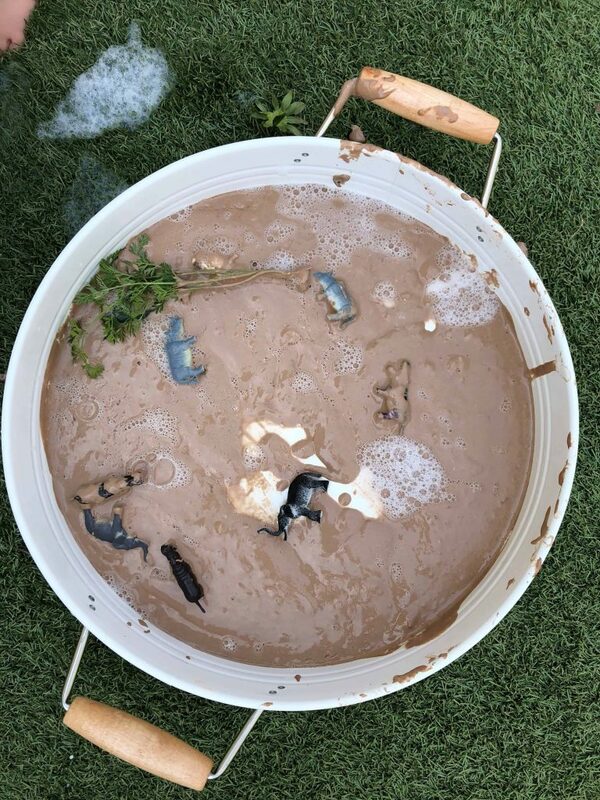 Previous ArticleEdible Sand Making Sensory Play Safe for Toddlers too! 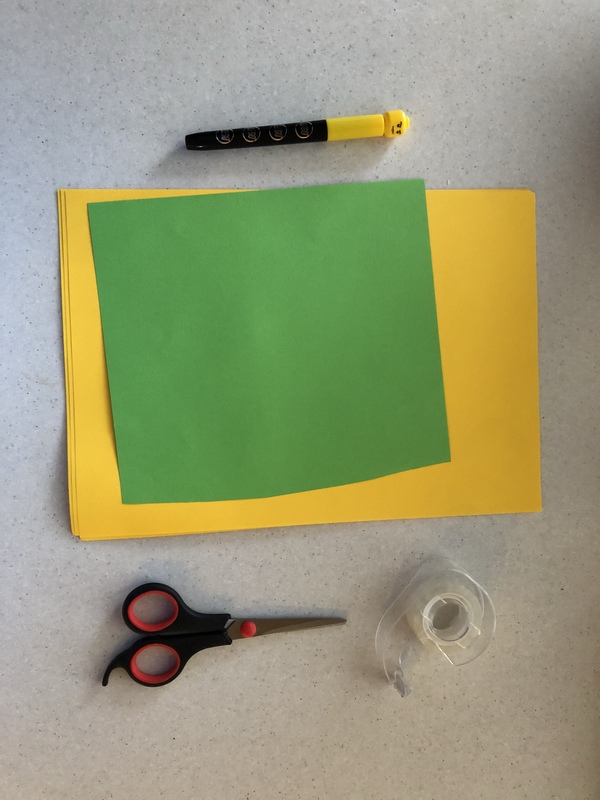 Next ArticleSquishy Fine Motor Fun!